Install any third party apps on your iPhone without the app store, is it true? and officially we can download and install on our iPhone and iPad, it’s called Apple enterprise program. Some useful app, Third-Party App that’s not in the App Store but wants to install on our iOS device. Allow permission to install from these settings given here. This way is compatible with Mostly all iPhone and iPhone models. Let see in detail about how to activate this program and use any unapproved app without Apple ID password on iPhone iPad install on iOS 7, 8, 9 and iOS 10, iOS 11, iOS 12 or later. Yes, we can download & install free apps without Apple ID password from App Store using account settings. Apple developer enterprise program cost is 299 USD per year. After activating this Service you can sign up distributed iOS apps for your organization, that helps to easily host and deploy your apps to use directly on your employee’s iPhone and iPad. 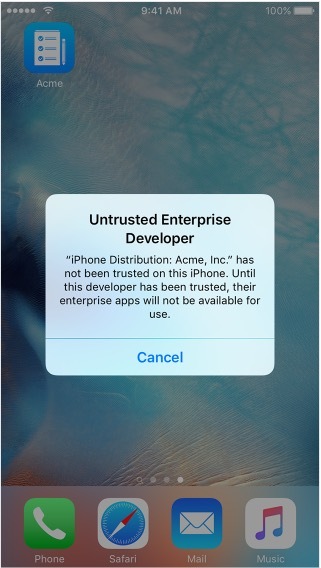 On first-time access app, if you get untrusted enterprise developer notification or pop-up on your screen then you should enable Trust for this app. Go to the settings > general > profile and device management. Here you can see the enterprise app under the separate section. 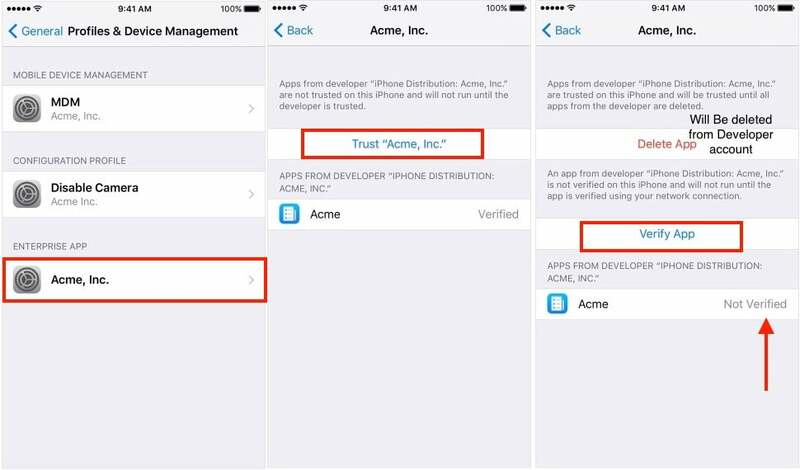 Tap on the enterprise app, enable for “Trust” for the developer. Once you enable for trust on the app, options will change after that and another option: “delete app” is found just before verifying app. Now you can open apps from home screen and access it on your iPhone and iPad without any confirmation and security popup. Download option we can place on organization websites, So employees can use this web without the app store. This way sometimes very useful on your app not complying app store policy. Wants to Install unapproved Apple store app on iPhone another iOS device.